The practice of taking care of our teeth should begin as soon as our teeth come in. In fact, oral health is important even before teeth start erupting. As parents, it’s your role to get your child’s oral health off to a good start. 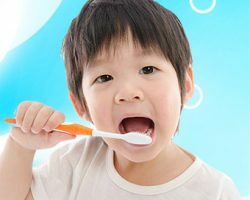 Practicing excellent oral hygiene is something you do in the beginning to ensure that your child’s teeth stay healthy and free of dental issues. Your child’s future dental health depends on your taking care of his or her teeth during the developmental stages. Once you set up a routine of oral care, the act of caring for their own teeth will become second nature to your children. At Mid-Michigan Dental Excellence in Alma, MI, we are committed to taking care of your children’s teeth every step of the way. We are a true family dental office in that we offer, in addition to regular adult services, pediatric dentistry treatments, help with teething, and cavity prevention for the youngsters in your life. It’s important to start practicing good oral hygiene on your kids when they are babies. Even before their teeth have erupted, you can keep their gums clean by gently rubbing them with a damp washcloth. 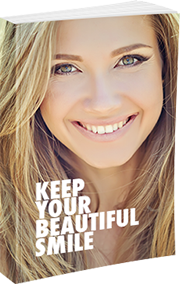 Once teeth start coming through, you can brush them two or three times a day with a soft-bristled brush and water. The AAPD recommends a smear of toothpaste with fluoride. When you start your child early on regular dental exams, you’ll accomplish two goals. You’ll start him or her out with a healthy mouth, but you’ll also get him or her used to seeing the dentist. That way, you may not have to deal with issues of anxiety later. When you bring your children here, we will deliver an experience that will help your kids feel positive about going to the dentist. We’ll try to make it as fun of an experience as we can. We recommend that you bring your child in for his or her first dental before the age of two. We can start keeping your child’s teeth healthy from the beginning by removing any plaque that’s built up and any food that may be stuck between the teeth. As they do with adult teeth, these steps will keep bacteria from growing, which could prevent serious dental diseases down the road. Keeping a mouth healthy in the first place is better than fixing issues later on when they can be more complicated and expensive. When you bring your child in for that first visit, we will clean and examine the teeth, gums, and mouth for any potential problems We might use a DIAGNOdent laser to spot tiny cavities not detectable with the naked eye. Even if teeth haven’t come in, we can check on the gums during the teething process. We know how important that first visit is so we’ll make sure it’s fun for your child. What Can I Do To Prevent Dental Problems With My Child? Some parents are concerned about thumb-sucking and the effect can have on a child’s developing smile. The fact is that most children give up thumb sucking naturally by the time they start getting their permanent teeth. Thumb-sucking might only be a concern if your child doesn’t stop. If that’s the case, and Dr. McDonald sees a potential problem, he can talk with you further about what actions to take. Dr. McDonald will also offer you expert tips on how to take care of your child’s teeth at home. This includes the proper way to brush and floss. Something else that might be addressed is your child’s eating habits. You should try to keep your child away from foods that are rich in sugar and starch to give the teeth the best fighting chance. Another caution: If you let your baby bottle-feed itself to sleep while lying in the crib, you run the risk of tooth decay. There is sugar in any type of milk and when left around the gums and teeth, it can cause tooth decay. Why not get your baby’s oral health off to a good start by bringing him or her in for a checkup? You can call our office at 989-796-4848 to schedule your baby’s first dental exam. You can also send a message to us by using our convenient online form.